Despite ischemic stroke being the fifth leading cause of death in the USA, there are few therapeutic options available. We recently showed that the neuroprotective compound P7C3-A20 reduced brain atrophy, increased neurogenesis, and improved functional recovery when treatment was initiated immediately post-reperfusion after a 90-min middle cerebral artery occlusion (MCAO). In the present study, we investigated a more clinically relevant therapeutic window for P7C3-A20 treatment after ischemic stroke. MCAO rats were administered P7C3-A20 for 1 week, beginning immediately or at a delayed point, 6 h post-reperfusion. Delayed P7C3-A20 treatment significantly improved stroke-induced sensorimotor deficits in motor coordination and symmetry, as well as cognitive deficits in hippocampal-dependent spatial learning, memory retention, and working memory. In the cerebral cortex, delayed P7C3-A20 treatment significantly increased tissue sparing 7 weeks after stroke and reduced hemispheric infarct volumes 48 h after reperfusion. Despite no reduction in striatal infarct volumes acutely, there was a significant increase in spared tissue volume chronically. In the hippocampus, only immediately treated P7C3-A20 animals had a significant increase in tissue sparing compared to vehicle-treated stroke animals. This structural protection translated into minimal hippocampal-dependent behavioral improvements with delayed P7C3-A20 treatment. However, all rats treated with delayed P7C3-A20 demonstrated a significant improvement in both sensorimotor tasks compared to vehicle controls, suggesting a somatosensory-driven recovery. 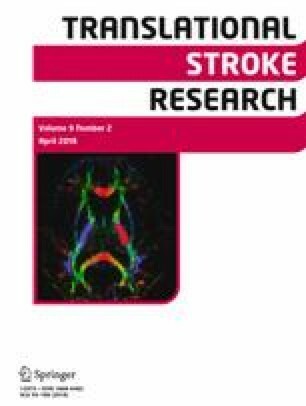 These results demonstrate that P7C3-A20 improves chronic functional and histopathological outcomes after ischemic stroke with an extended therapeutic window. The authors would like to thank Dr. Melissa Carballosa-Gautam, Ofelia Furones-Alonso, Ryan Treu, and William Javier Moreno for their technical contributions to this study. This work was funded with the support of the American Heart Association Grant No. 16PRE27050003 and the Florida Department of Health #7JK03 Miami Project to Cure Paralysis. A.A.P. was supported for this work by funds from an anonymous donor to the Mary Alice Smith Fund for Neuropsychiatry Research, the Titan Neurology Research Fund, and a Department of Veterans Affairs Merit Award 1I01BX00244. Andrew A. Pieper owns patents related to the P7C3 series of neuroprotective compounds. Wang SN, Xu TY, Wang X, Guan YF, Zhang SL, Wang P, et al. Neuroprotective efficacy of an aminopropyl carbazole derivative P7C3-A20 in ischemic stroke. CNS Neurosci Ther. 2016; https://doi.org/10.1111/cns.12576.